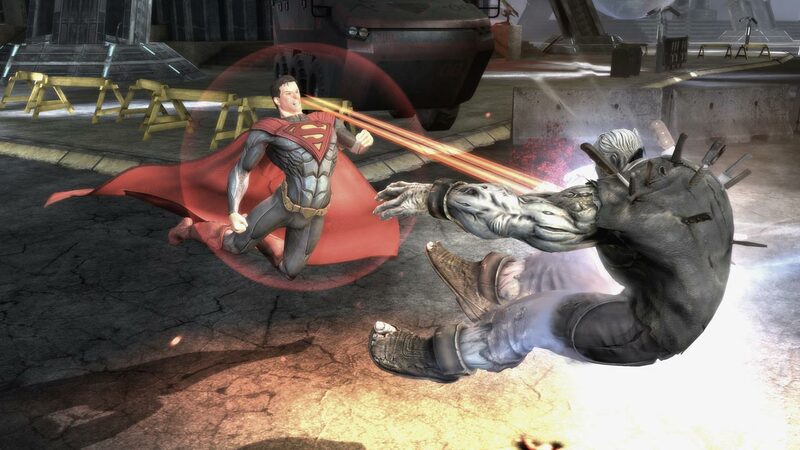 Injustice is a culmination of different DC comics, such as: Kingdom Come, Infinite Crisis, and Morrison Earth 1,2 and 3. The main point of the story is what happens when the man with the most power on earth loses his mind. In one dimension Superman has been tricked (drugged) by the Joker; thinking that a pregnant Lois was the real threat to Metropolis, Superman then killed Lois. The Joker being the real threat, sets off a nuke, destroying metropolis. Realizing what he has done Superman kills the Joker out of rage (Hand through chest) and spiral into a maniac that kills those who try to stand against him including his fellow super friends that disagree with his new methods. In another dimension you start playing the game as Batman right before the events of the nuke or the drugging of superman take place. Fast Forward to about three fights in the game; You (Batman), Wonder Woman, Green Lantern, Green Arrow, Aquaman, and the Joker, have been teleported right before the nuke is suppose to go off. The Superheroes and the Villain have been sent through dimension into the first Dimesion where Superman is the leader of the Regeim (Nazis) and Batman is the Leader of the Rebels (viva La revolución!!) are fighting one another. The Story goes on and is more complex but to be spoiler free I’ll continue with a vague overview. The story, for a fighting videogame at least, was pretty solid. However if you are one of those people that skip through cutscenes and just want to get to the fight (I hate you) you wont miss that much. The story is predictable and doesn’t give to that much feeling. It is pretty cool though to see Superhero Mortal Kombat. At first the controls feel really sluggish and you won’t really feel comfortable as a button mashing fighting game. There where even one or two movements in the tutorial that I could not quite grasp. When you start getting a handle of it the game feel more and more like their developer other game, Mortal Combat. The controls work well and this is the Game the Mortal Kombat Vs. DC was trying to be. They also added new feature of the game that really added more complex gameplay: Wagers and Level Transitions. Wager is faceoff (samurai showdown of sorts) where both players go from fighting to a short cutscene where both characters badmouth each other before playing a game of attack chicken. Level Transitions are when you hit your opponent essential out of the ring flaying them through a 30 second cutscene of painful game of mousetrap. I believe that this one of the most satisfying feelings of the game. There is nothing like knocking your opponent into several building teaching them who is boss. The only addition that needed to be made was a little bit more combination attacks like in NetherRelem recent Mortal Kombat Game. The design of the game ranges too far between really bland and really extensive. In the Cut scenes the background setting are very forgettable however the in game levels have so many thing going on in the background that it is hard to forget. The costume design for each character is reminiscent of their traditional costumes with a dark grittiness. Overall the graphic pixels wise are nothing to write home about but they get the job done for this generation of gaming. The replay value of this game depends on what type of gamer you happen to be. 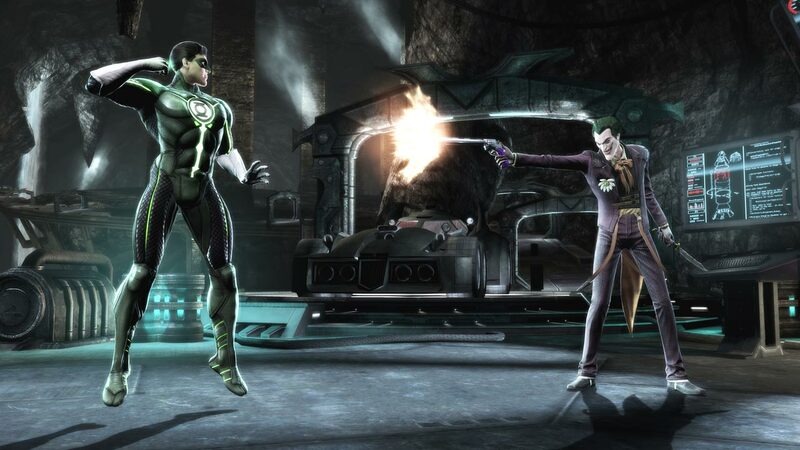 If you like online multiplayer, arcade modes, completing in challenges, and going head to head with friend; Injustice is a game with a ton of replay value. If you only like story and are not a huge fan of fighting games I suggest borrowing it from a friend. Awesome game, thank you for sharing this.